The Historic Community Center is now available for rental! **Note to mobile device users** If you are experiencing difficulties using the fillable form, a free app called "Adobe Fill & Sign DC" is available for both iPhone and android users. If you have this app, you can complete a fillable form on your mobile device. You may contact Rebecca Witmer at 570-966-4705. Donations are being accepted to help defray the costs of the recently restored the New Berlin Community Center. 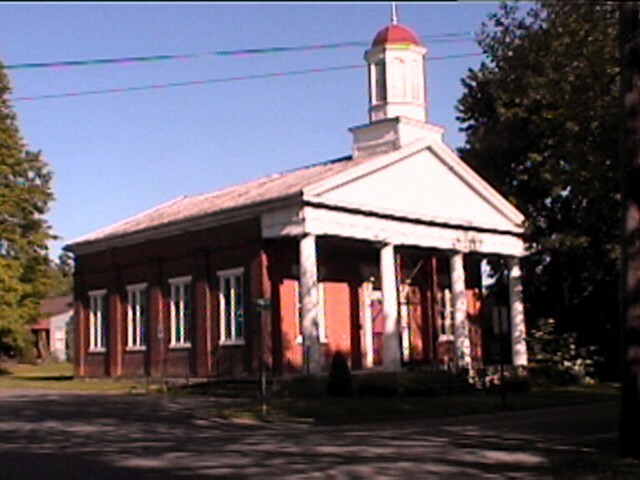 This historic building was the former Presbyterian church (built 1844) before being deeded to the borough in 1951. The New Berlin Lions Club converted the church into a community center in the early 1960's. Since then the building was used as a borough office, police office, polling place and community gathering hall. The building was closed in January 2000 due to safety concerns. The project has received a $40,000 grant from the Pennsylvania Museum and Historical Commission, a $30,000 Degenstein Foundation Grant, a $44,535.00 Community Development Block Grant and $85,000 in Community Revitalization Grants. In addition, the borough has obtained a $230,000.00 bank loan to cover the project.